If Billy McFarland can pretend that a bunch of FEMA tents and a bunch of musical acts that back out at the last minute constitutes a music festival, then I suppose it is fair for Hulu to think “Fyre Fraud” was a well-made documentary in any way, shape or form. Serving as the opposite side of the same coin to Netflix’s “Fyre: The Greatest Party that Never Happened,” Hulu’s “Fyre Fraud” details the failed Fyre music festival, only this time also attempting to take a deeper approach to the subject matter. Just for clarification, deeper should have about sixty quotation marks around it. The issue with “Fyre Fraud” going for a deeper look into the Fyre music festival and the controversy surrounding it is that it comes off less interesting and thought-provoking and more insulting and pretentious. 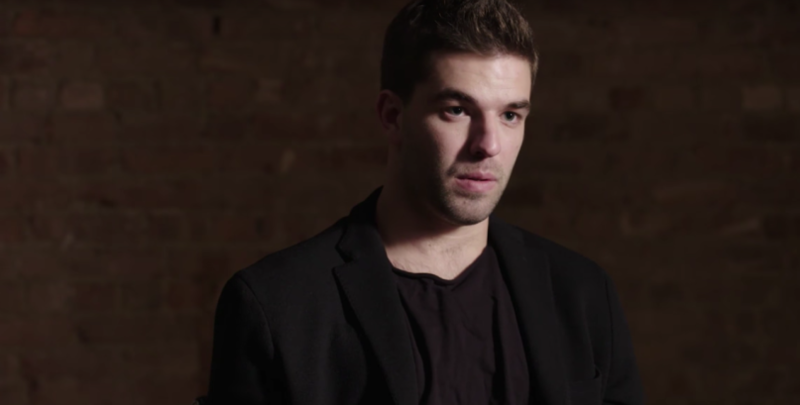 The documentary tries to talk about the millennial experience, the culture and society they were brought up in and the mentality of FOMO, or fear of missing out, among other faulty attempts to make this drivel of a documentary seem like a smart dissection of how the Fyre festival came to be. The problem here is it is all over-generalization and, while it may explain why some people would pay to go to this music festival, it does not feel like it is adding anything of substance to the details or discussion of Fyre. A good metaphor for “Fyre Fraud” would be to compare it to an annoying person waving their arms around and demanding attention. This applies not only to the aforementioned point about the documentary’s pretentiousness, but to its pop cultural quirkiness and holier-than-thou attitude towards some of its interviewees too. The pop cultural references are something straight out of an episode of “Family Guy.” One of the interviewees describes a person or event like something from a show or movie, and then a clip gets played. This gets irritating and distracting after a while, but what is much worse is when it does cut-away gags when no pop cultural reference has been made. The holier-than-thou attitude that the documentary occasionally contains is the worst sin perpetrated by “Fyre Fraud.” The intent is to call out the people who helped to create the event, but it not only seems unjustified and unfair at times, but it also renders actions taken by the filmmakers as blatantly dishonest. These issues can be seen with two interview subjects: influencer Alyssa Lynch and Billy McFarland. In terms of Lynch, she expresses some amount of remorse that she and her party were given a luxury suite to stay in on the island while others were forced to fight over FEMA tents. Quick cut to a video she took of Lynch and her friends dancing in the suite and quick cut again to the interview of her laughing uncomfortably. The editing suggests that she is lying about her feelings, yet there is nothing to back this up. As the documentary itself states, people were sent everywhere on the island to cover up the fact that the festival was not ready, so it is completely possible that the video was dancing prior to them knowing what had happened. In short, the documentary decided what Lynch’s real thoughts and intentions were and was edited to fit that as opposed to what it should have done, which is let the viewers watch her interview and decide for themselves if she is sincere or not. Now onto Billy McFarland, who is interviewed under the guise of telling his side of the story. Maybe that was the original intention, but once again, the editing ruins this. At one point the interviewer accuses McFarland of lying, and he asks what he lied about. The documentary then shows the audience a number of times McFarland lied about something. As far as the documentary shows, the interviewer did not list off what McFarland lied about when asked, nor was McFarland given a chance to rebut the claim. In fact, McFarland is given a chance only once in the documentary to explain something and defend his actions. While it is fair for the interviewer to call McFarland out for his lies, it is unfair to give him a position to tell his side of the story and then not let him defend himself when faced with the accusations. By rendering itself unfair and thus untrustworthy, “Fyre Fraud” deserves to be recognized as one of the worst documentaries ever made.